Friendly and accommodating staff welcomes the guests upon arrival. 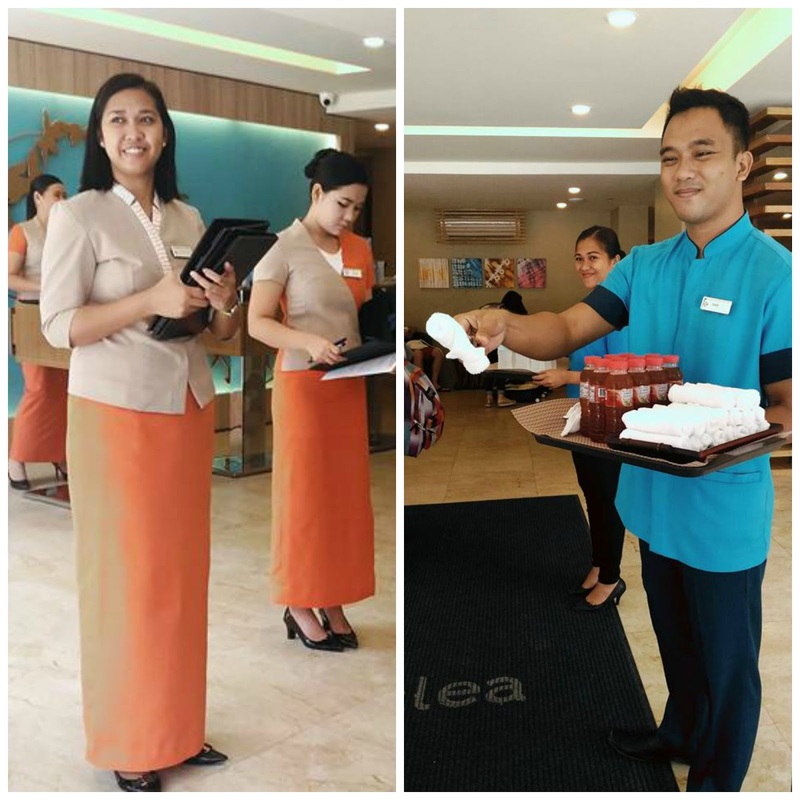 Aside from being assisted when checking-in, guests are also given "wet" towels and iced tea (you can also request water). 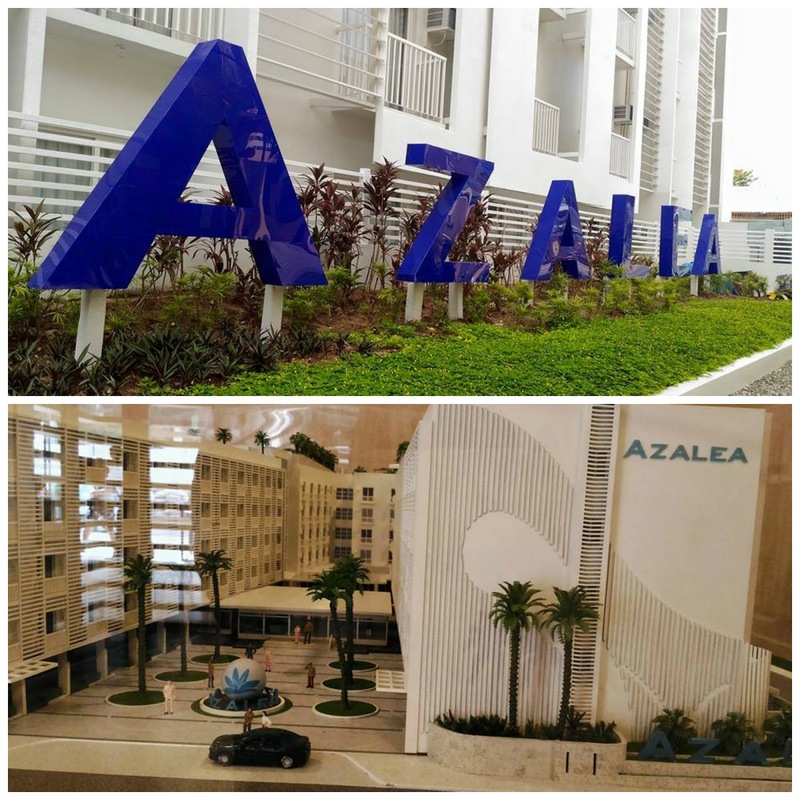 Here's a quick glance of Azalea Hotels & Residences. 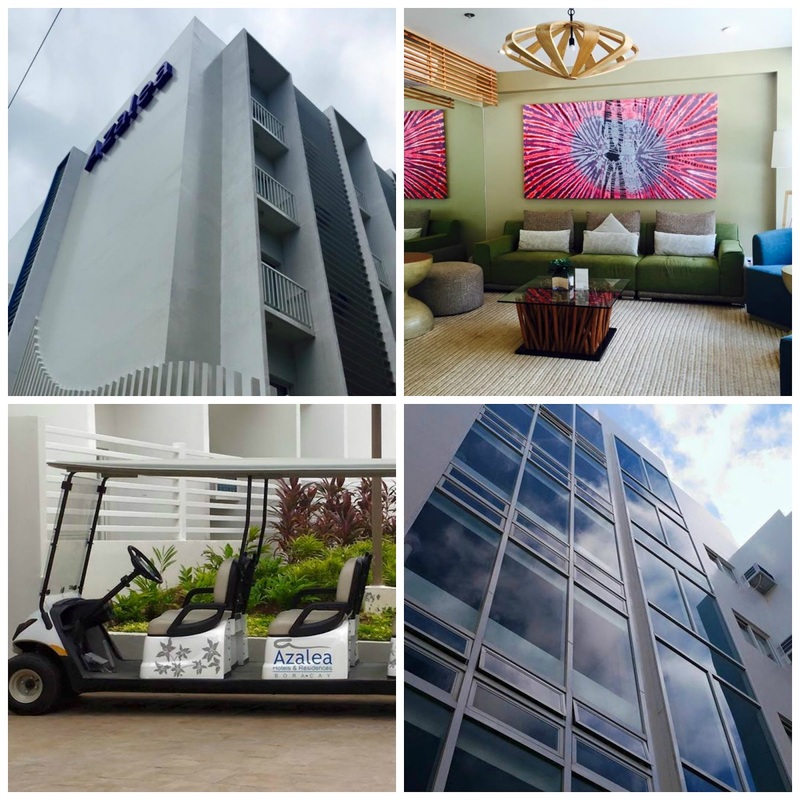 The front wing is the only part of the hotel that's fully operational now. 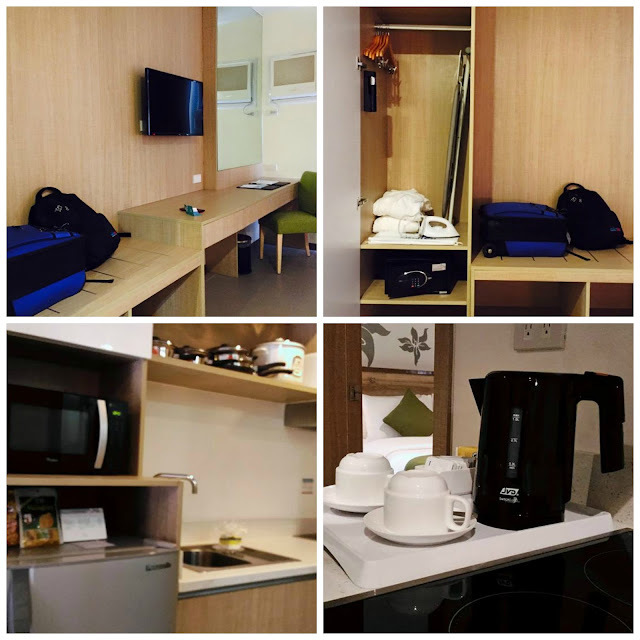 Choices of bedrooms varies from a single bedroom, two bedroom, and three bedroom suite all complete with kitchen amenities. The lounge area in the lobby looks inviting and has some comfy chairs for guests who wants to read the newspapers there or somewhere to hangout while waiting for a friend or family member. Aside from the hotel van, there's also the hotel cart which you can use to go to the beach or nearby areas such as D'Talipapa and D'Mall. Instead of cards, guests are given this bracelet upon checking in. 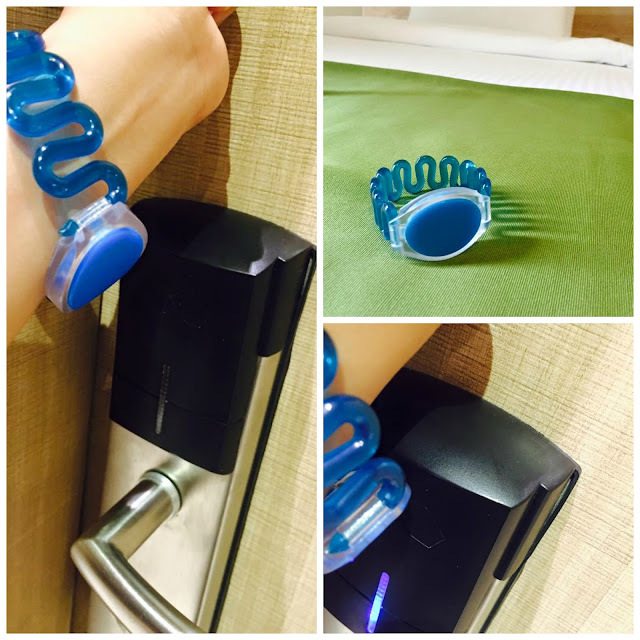 The bracelet functions as a "key" so that the guests won't worry when they go out of the hotel or when swimming. Using it is easy, simply press the "round" part to the sensor and you'll hear the door unlocking. It is also water-resistant and can be worn while snorkeling. 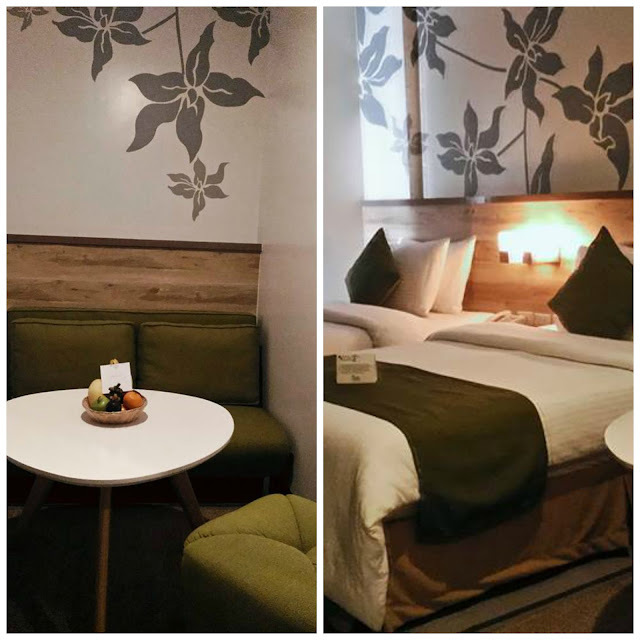 So here's the twin-sharing single bedroom. It has a small space that can be used for a dining area, and the sofa can be converted to a bed if there are three guests staying in the bedroom. I love the "working" desk, or for some, it can function as a vanity table. There's also the cabinet for the clothes and valuables which you can keep inside the 'safe." And the "kitchen" area wherein you can cook or reheat some meals. 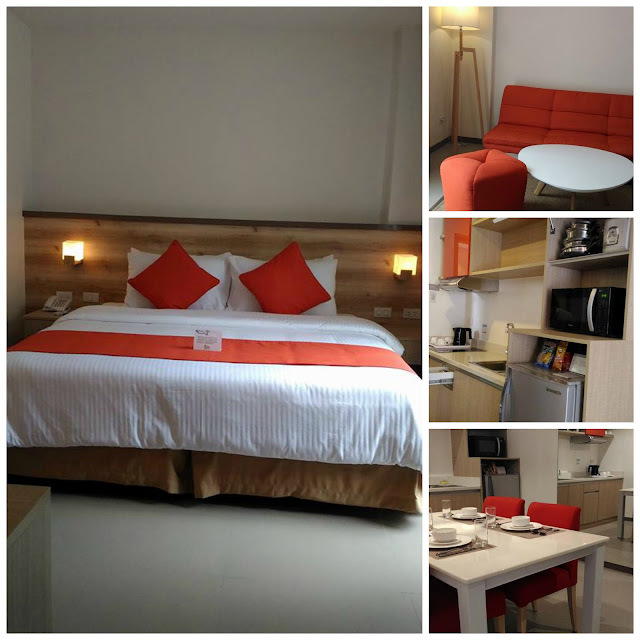 The bedrooms also varies in different color themes- green and orange. Upon completion of the other wing, there will also be yellow and blue themed bedrooms. 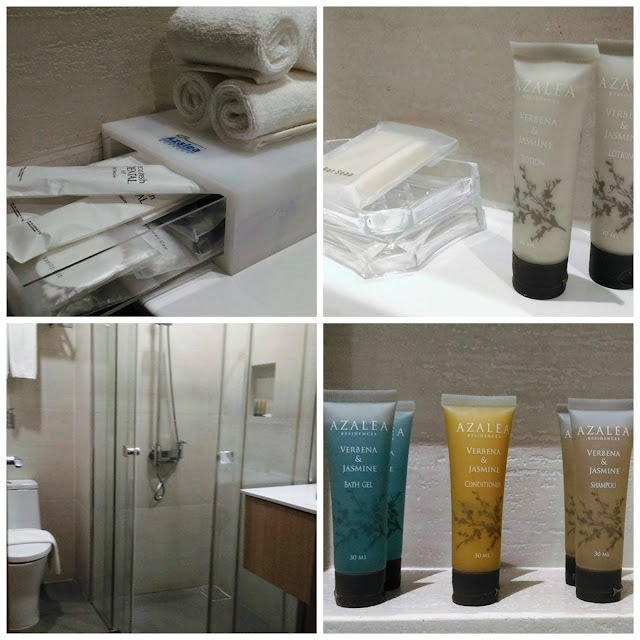 Here's the bathroom which is always fully-stocked because the housekeeping staff makes sure that everything is perfect for the guests. The housekeeping is also very prompt in attending to guests' requests such as additional toiletries, or charger adapter. I stayed in a twin-sharing bedroom during my stay at Azalea Hotels & Residences in Boracay and I love every minute of my stay. Stay tuned for my Boracay tales.